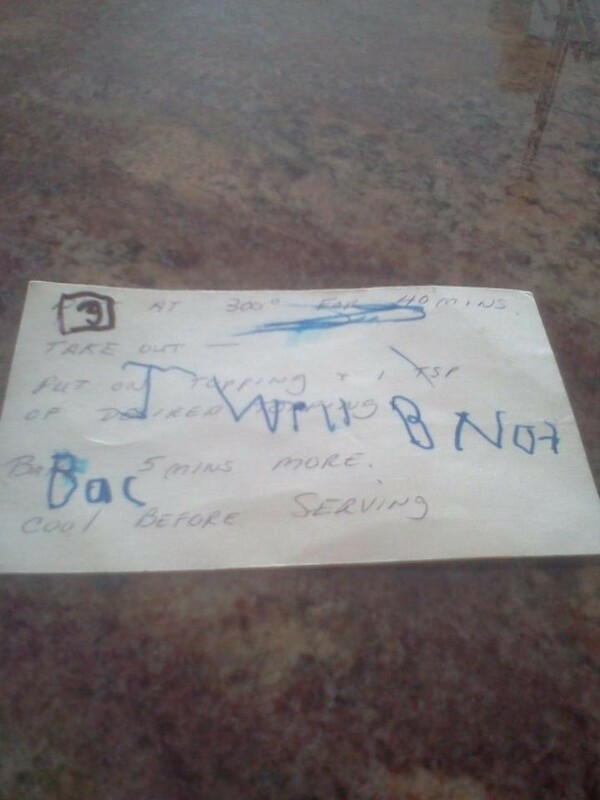 Maybe they've had a hard day, or they're just revolting against Mom's new rules, but whenever we spot an "I'm running away" note from kids, it never fails to crack us up. They're a little bit threatening and typically hilarious, but their attempts at leaving home are always perfectly share-worthy. 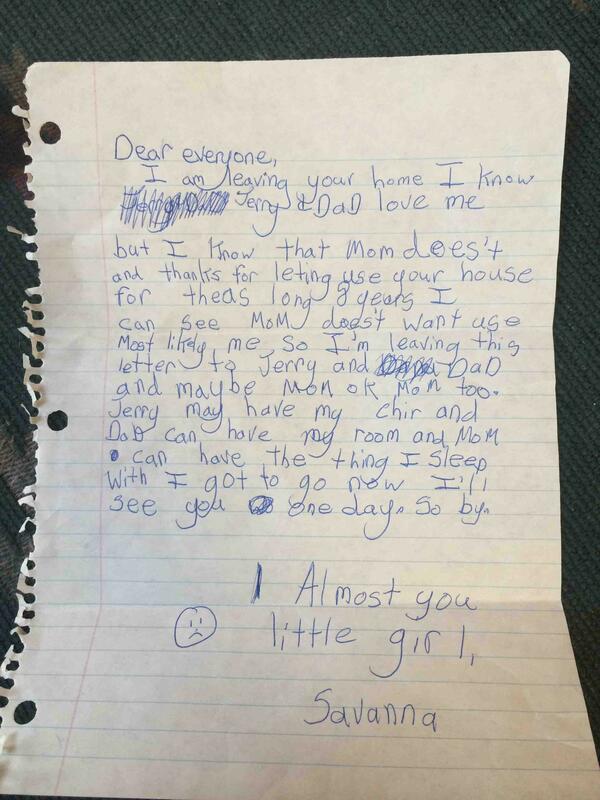 We scoped the Internet for these epic notes from just who were just totally done with their siblings and parents, and needed a major break. Take a look at the best (and by best, we mean ambitious!) 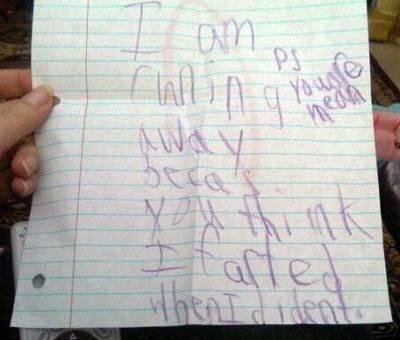 runaway notes from kids. How can you not laugh at #6?! Has your kid ever been mad over something like that? 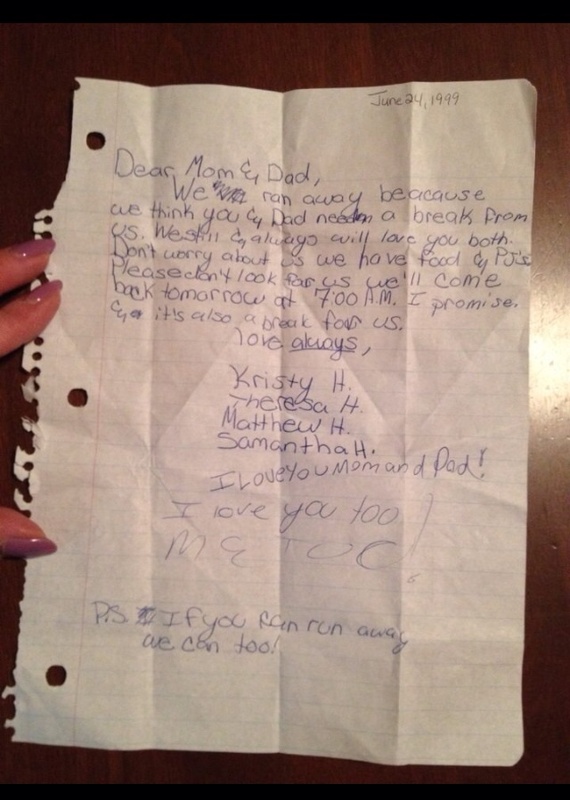 Yes, this is a runaway note. And no, we definitely, totally, 100% do not want to be found. I guess you'll be included too, Mom. Wait, maybe not. Ok, fine. Thanks for the 8 years, Mom. Will they be back? That's a clear "not." It's only an overnight runaway, but if Mom and Dad need a break, the kids are willing to make the sacrifice. 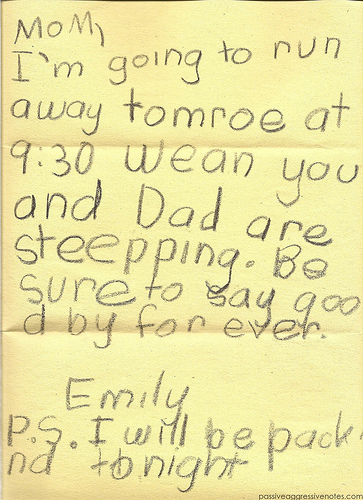 Emily just requests a quick goodbye, and then she'll be gone. No need to wake up either; she won't disturb you. That was not a funny allegation, and it's grounds for leaving. 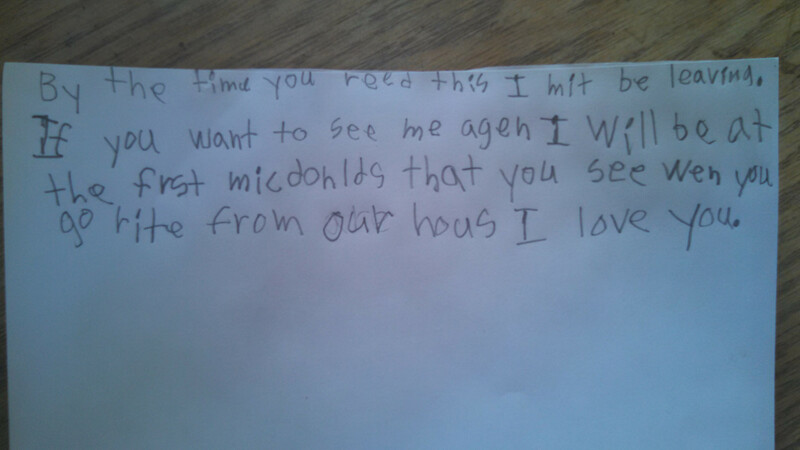 "Dear Mommy, your trobles are going to be gon soon. I will run awy tomoreoe so you can have a better livfe without me." So considerate, wouldn't you say? Simply put, that's just the only logical option. Below, a map, in case Mom's wondering where they're off to. If there was ever a reason to leave, this would be it. The small sad face is really the only explanation you get, parents! P.P.S. I'm not sure why I wrote this one. P.P.P.S. Just kidding -- I'm staying.